Composition of pet bed (doghouse, dog cushion, cat nest cushion): Oxford cloth as a whole + core pp cotton. By selecting the superior material, the pet nest is green and environment-friendly, so it is safe and reliable for your pet. 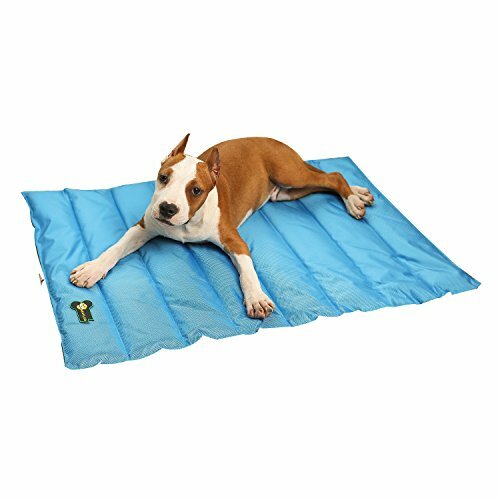 The Pet pad is delicately designed as a whole.Pet cushions can be folded and are very soft.The pet mat is very easy to carry, so you can travel with pets at any time, so that your love pet has a home whenever and wherever possible. Excellent choice for pet lovers: a comfortable nap site could offer your pet a soft, comfortable and cool place. This pet bed is not only comfortable and cool, but also convenient for washing. You could just leave it directly in the washing machine and dry with slow speed. Attention: try not to give excessive washing,Owing to the product inside is made of pp cotton, excessive washing can easily lead to product deformation.If your pet mat is not very dirty, please scrub it directly. Our after-sale service will be 24-hour online and 100% sales return is supported.You have any questions, please feel free to contact us. Composition: Oxford cloth + inner core pp cotton filler. By selecting the superior material, the pet nest is green and environment-friendly, and it is also safe even your dog bites. The cushion in the pet nest adopts high-quality ice silk, the nest (cushion) surroundings adopt wear-proof oxford fabric and the stuffing inside is safe, so please rest assured to use. This pet cushion could accompany your pet at least three seasons. Because the doghouse is comfortable and cool, your pet will definitely love it. The pet nest is delicately designed as a whole.Pet cushions can be folded and are very soft. Mat surface with some cartoon patterns, it is very suitable for middle and small-size pets. It is easy to carry so you could also use it for your pet even going out for travel. Dimension: (length * width) S：23.6in×17in， M:27.6in×20.9in， L:35.4in×22.8in. Please refer to the dimension before purchase and there are three optional colors. Attentions: the doghouse (dog cushion) is made of oxford fabric， which are not belonging to urine-proof product, please pay attention while using it. The pet nest is machine washable, but excessive washing is not suggested. You'd better scrub it directly in case the cushion is not very dirty. Our after-sale service will be 24-hour online and 100% sales return is supported.You have any questions, please feel free to contact us. If you have any questions about this product by FORNO, contact us by completing and submitting the form below. If you are looking for a specif part number, please include it with your message. Mazort Pet Heating Pad Cats and Dogs Safety Electric Heated Pet Bed Warming Mat with 2 Adjustable Temperature Chew Resistant Cord 17.7" x 17.7"